Yes, the perfect Christmas gift solution for the golfer in your life is good, old-fashioned book, as in something to read. There is good news and bad news here. Golf has produced a seemingly endless supply of literature; however, this makes the task of selection somewhat daunting. Fortunately, Eye On Golf is here to help. We have separated some recommendations into categories to aid in your selection process. So, in the next couple of weeks we’ll make a few suggestions. 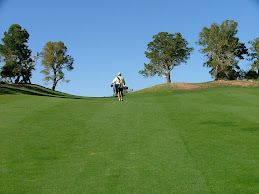 The first area is a topic that is near and dear to the hearts of all golfers. The Principles Behind the Rules of Golf by Richard S. Tufts – Tufts, a former Executive Director of the USGA present the two guiding principles of the rules and demonstrates how all other rules emanate from them. This one may be a little hard to find or expensive, but it will satisfy the golfer’s curiosity about the rules. The Rules of the Green by Kenneth G. Chapman – Published in 1997 this scholarly work is a history of the rules of golf that will not induce the slightest bit of insomnia. Chapman takes us on a historical journey from a time before the first written code in 1744 up to the present day carefully providing the logic behind the evolution of the rules. Can I Get a Ruling? by Dave Marrandette – Although this is self-serving, I would be remiss if I did not recommend by own volume on the rules. This book is historical in the sense that it presents a time capsule of actual rule incidents presented in categorical fashion.